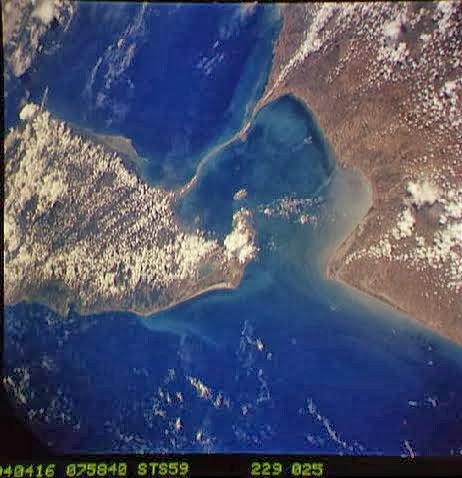 The NASA Shuttle has imaged a mysterious ancient bridge between India and Sri Lanka. The bridge was purportedly passable on foot until 1480 AD when a cyclone moved the sand around. This recently-discovered bridge has been found to be made of a chain of limestone shoals. Its unique curvature and composition by age reveals that it is man made. 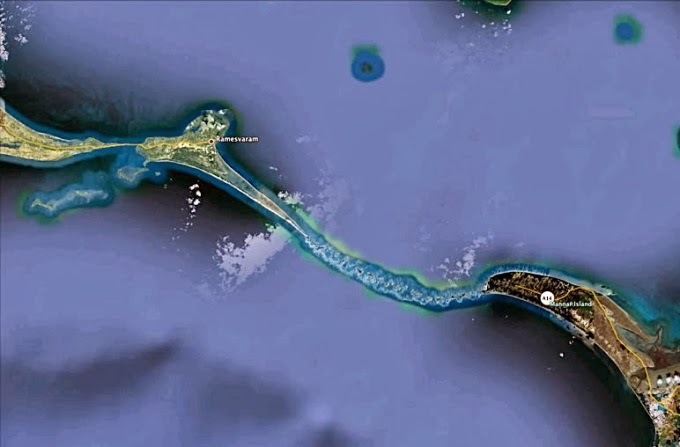 The bridge currently named as Adam’s Bridge (most popularly known as Ram Setu) is about 18 miles (30 km) long. This bridge starts as chain of shoals from the Dhanushkodi tip of India’s Pamban Island and ends at Sri Lanka’s Mannar Island. Water between India and Sri Lanka is only 3 to 30 feet (1 to 10 meter) deep. Owing to shallow waters, this bridge presents a problem in navigation as big ships cannot travel in the shallow waters of the Pamban channel. This information is a crucial aspect for an insight into the mysterious legend called Ramayana, which was supposed to have taken place in tredha yuga (more than 1,700,000 years ago). In this epic, there is a mentioning about a bridge, which was built between Rameshwaram (India) and Srilankan coast under the supervision of a dynamic and invincible figure called Rama who is supposed to be the incarnation of the supreme. This information may not be of much importance to the archeologists who are interested in exploring the origins of man, but it is sure to the spiritual gates of the people of the world to have come to know an ancient history linked to the Indian mythology.